As a result of numerous certifications and over 50 years of combined experience in the insurance restoration industry, Rapid Recovery is your restoration solution. Our staff has the expertise and knowledge to repair any fire damage, water damage and storm damage to all properties in Southeast Michigan. We will work as the representative of you and your insurance company to ensure you are informed about every step of the restoration process that will take place, but we work for you and not the insurance company! 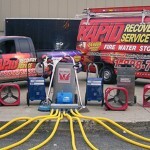 Whether a fire has damaged your Michigan property water, mold or a storm? Finally, Contact Rapid Recovery Service at 1-888-778-3337 to speak to a live person 24-7, 365 days a year! Many more references, furnished upon request! Greater Macomb County Chamber of Commerce Community Service & Humanitarian Award for Notable Achievement and Excellence. Honored by the City of Detroit for Participation of Detroit’s Motor City Makeover Campaign. Rapid Recovery Service is a proud supporter of charitable organizations and fundraising efforts within the community. As a result, Rapid has supported the ‘Helping Hands’ program in the community. While this was to ensure that “No child left in the cold.” Rapid Recovery Service collected scarfs, mittens, hats, and socks at its’ location. Also, the warm clothing articles were donated to the local Fire station. Because our staff wanted to be included with their Coats for Kids program for local elementary school children in need. So, for a complete listing of certifications or more information, please contact us.